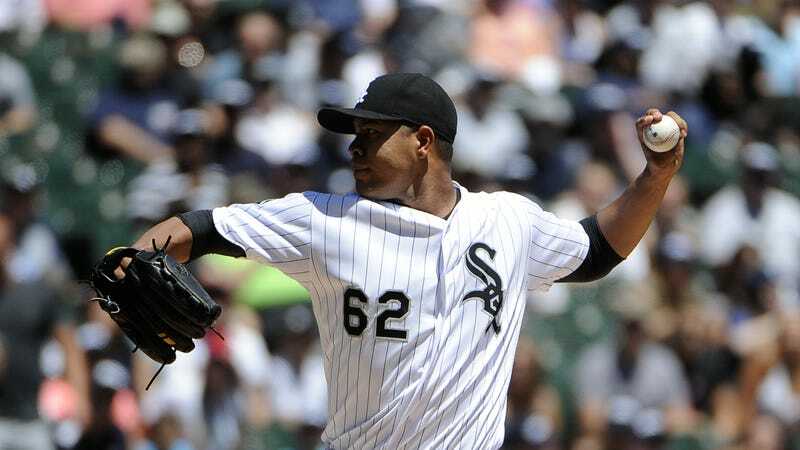 Ace pitcher José Quintana, still a member of the Chicago White Sox, is scheduled to pitch Monday’s home opener against the Detroit Tigers. Quintana, 28, isn’t great at any one thing, but he’s good at everything. He throws his fastball, curveball, and changeup for strikes, keeps the ball down, and is quite durable, between all of which he ranked seventh among major-league pitchers over the last four years in wins above replacement. He achieved his first winning record since 2013 and his first-ever double-digit wins total last year, when he went 13-12 with a 3.20 ERA. Owed just over $14 million through the end of the 2018 and on a contract that will allow his team to get two more years of service for around $20 million, Quintana is an attractive trade target, and the White Sox are ready to negotiate, as they’re looking for outstanding young players on team-friendly deals. While recent rumors have had teams including the Atlanta Braves, Houston Astros, and Pittsburgh Pirates showing heavy interest, Jon Heyman of Fanrag Sports reports that word is a new candidate has entered the fray: The St. Louis Cardinals.